As observed in the game, there are lots of guild which are abandoned, member down or worst inactive. Here are some guides on how you run a guild smoothly and successfully. When we say successful guild, this is where all members are having fun and enjoying the stay with it, no matter how strong or how high the overall might a certain guild is. There are five(5) ranks in a guild, abreviated as R5 (Guild leader), R4 (Rank 4), R3 (Rank3), R2 (Rank2) and R1(Rank1). A specific member are subjected to have its rank depending on how the ranking system is based. This are how i rank my members on my own guild. RANK 5 or the Guild Leader – The one who inforces the rule and organize the guild. Has the power to kick doutchy members and is resposnsible for the guild. Could be your best friend or worst enemy inside the guild. Every rank has its own role and participation in the guild, you must collect datas and information of your members to control them and avoid any problems inside and outside the guild. Its is also important to keep in touch with your members with the use of apps like WeGamers and other communication apps. It is important to include mail in the rules of the guild, one doutchy mail could burn the entire guild which you don't want to happen. You can use mail to remind your guild members to shield up, shelter their troops, information about the upcoming events, making an alliance with other guild etc. 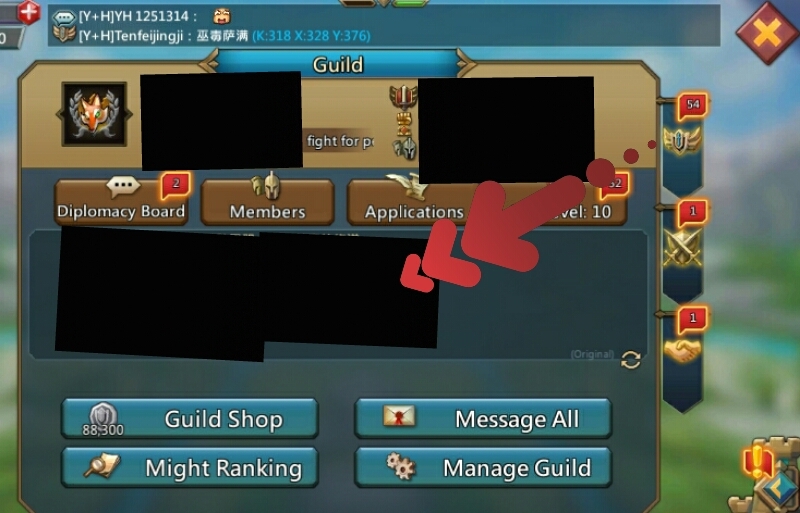 Use the CHATBOX located at the upper part of the screen for your guild chat or global chat. MAILBOX for personal message for your guild members or other guild members located at the bottom which is the envelope. 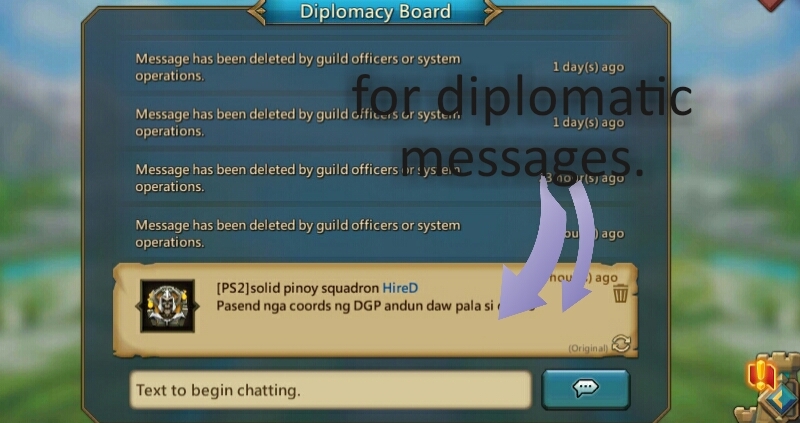 Use the DIPLOMACY BOARD for diplomatic conversation with other guilds. 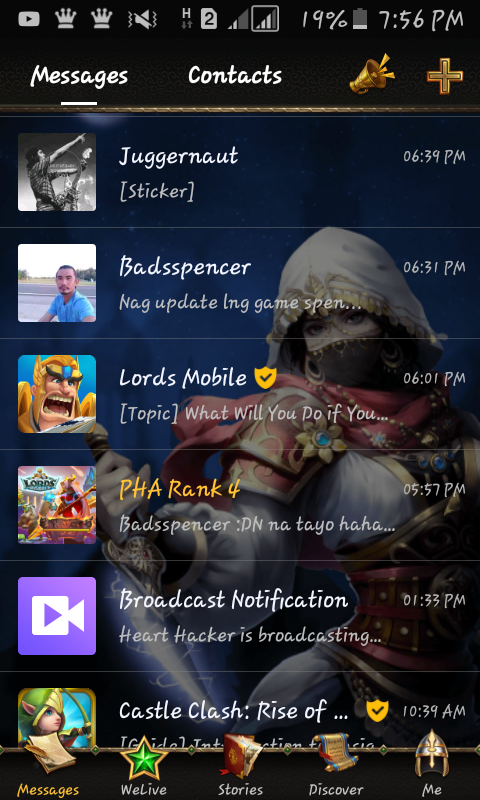 It is also good for you to have other way of communication by the use of another app to make it easy for you to monitor the activities of the guild. 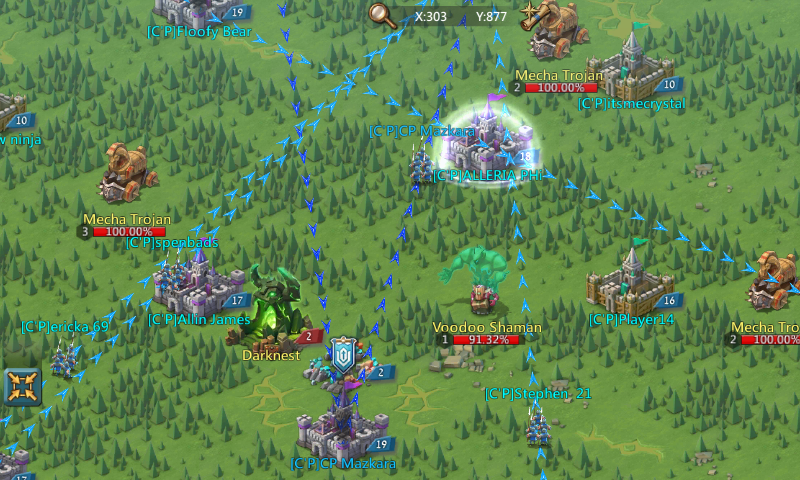 As a Guild Leader, it is important fot you to know where to hive your guild, but for thise smaller guilds or starting guilds i don't recommend you to hive for it will attack other guilds to burn you and take all of what you have. Having a huge number of members in a guild will benifit you in terms of helping each others specially in guild fest, guild gala, guild showdown and other guild events. 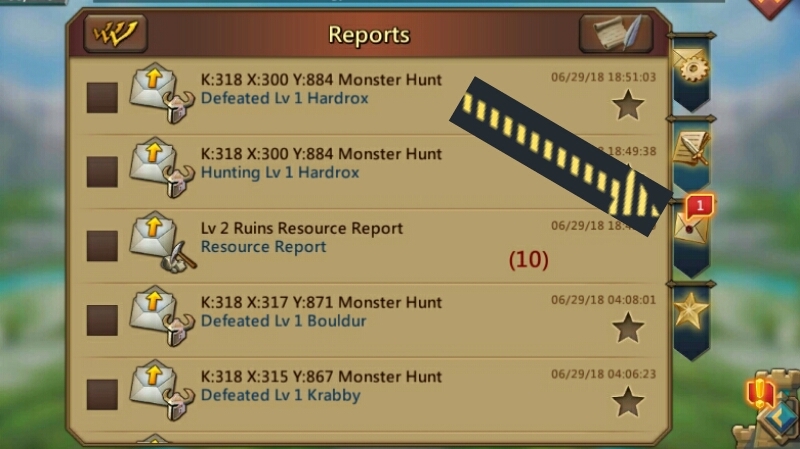 After all, this is just a game to have fun and enjoy but ruining other players aren't the best for you to make the best guild on your kingdom. Hope this Guide and Tips helps your guild achieve your goals.